Arunachal Pradesh govt. 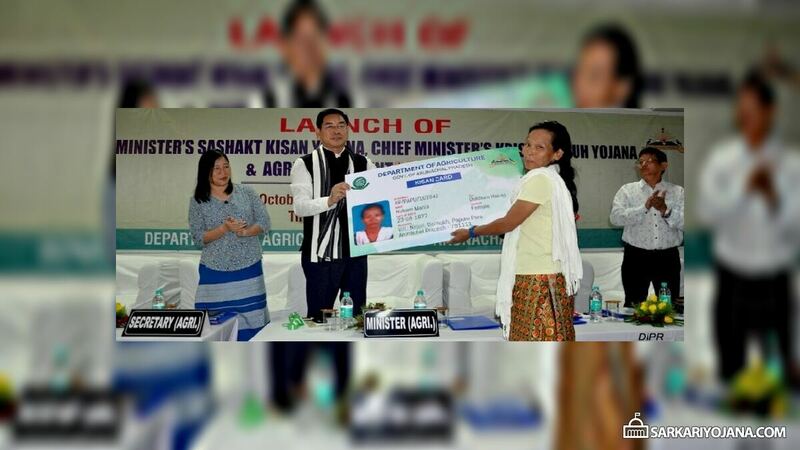 has launched Chief Minister’s Sashakt Kisan Yojana and CM Krishi Samuh Yojana in Itanagar. These 2 schemes will realize the PM Modi’s vision of “Doubling Farmers Income by 2022” and will boost the state’s effort to fulfill this vision. The state govt. has been working continuously for the welfare of the farmers and advocated for more scientific based farming. The primary objective of CM Sashakt Kisan Yojana and CM Krishi Samuh Yojana in Arunachal Pradesh is to provide timely financial assistance to farmers. AP state govt. can even follow market intervention approach to ensure better prices to the farmers. Veterinary, Animal Husbandry and Art and Culture Minister of Arunachal Pradesh, Dr. Mohesh Chai has launched these scheme on 8th October 2018. This scheme is to provide timely assistance to farmers and to ensure better price of crops through Market Intervention scheme. The primary objective is to raise annual income of the farmers. CM Krishi Samuh Yojana in AP – This scheme aims to empower farmers through cooperative approach, by providing timely supports and marketing interventions of the government for better price realization and doubling farmers income. Arunachal Pradesh produces around 4.5 thousand metric tonnes of fish per year. The requirement of fish in the state is about 15000 Metric Tonnes. The people of Arunachal Pradesh have got a ready market for fish products needed to be exploited by the farmers. In AP, farmers mainly produces rice, maize, coarse cereals, wheat, pulses, sugarcane and ginger crops. The state govt. is consistently working hard to provide appropriate prices of crops to the farmers. « Apply Online for 2 Residential Housing Schemes in Batala & Bathinda by Punjab Govt.